More podcasts on our Patreon page!!! a ModelersLife is rated "marginally adequate" by 6 out of 10 doctors. jlwii2000 award for best podcast. Thousands of votes were cast and AML was the runaway winner. Longtime fan Jordan Kramer said, "this is the best thing ever." Ralph "Ralphie Boy" Renzetti said, "this day will live forever infamy." Bruce "the Mildly Agitated" Mailboy was ecstatic but unavailable for comment because of a flood in the basement. Having always been a fan of the long form conversational interview and having met so many interesting people in the hobby over the years we decided it would be fun to share their back stories with everyone else. ​So come along with me, Lionel Strang and a strong cast of supporting characters as we discover how life intertwines with this great hobby of ours and helps to strengthen the fabric of who we are as individuals. ​Still wondering if you can buy an entire chess set at a pawn shop. Do vegetarians eat animal crackers, when does it stop being partly cloudy and start being partly sunny? Can’t stop wondering if it’s illegal to park beside a fire hydrant even when your car is on fire?? You’re so tired you need to take a nap tomorrow and can’t figure out why Friday is so far away from Monday but on Friday, Monday is only three days away. Plus you’re still trying to figure out why math can’t solve it’s own problems. You’d like to get lost in thought but it’s unfamiliar territory, you drank so much vodka last night you woke up with a Russian accent. You’d like to walk around looking as though everything is fine even when your socks are sliding off. Well we can’t help with any of these problems but we can help waste plenty of time listening to ViewerPosts. So grab yourself a big bowl of shredded hockey socks, a warm mug of melted arena ice and enjoy !! Stephen and along with his mom, Alice and dad Gary decided to make the hobby more accessible to everyone with great prices and timely delivery. From the beginning they decided to keep the cost of operating their business to a minimum and pass the savings along to the individual modeler. Ever wonder what happened to Steven Segal… Naw, me neither but if you’re anything like me a trip to the virtual hobby shop is long overdue. The donuts are fresh the coffee is hot and a bunch of the regulars are ready to swap stories and answer questions. Chris Atkins wondered how much electronics is to much and before you know it all sorts of things were being discussed including a great description of ABS signals by our very own Mike “the Spoon” Ostertag. So grab yourself some Danish pastry, a steaming hot cup of joe and enjoy!!! ​You still have questions about extra terrestrials that helped the stranded astronauts on Apollo 13?? Still not sure if your multiple choice answers on the grade ten geography test were correct?? Still wondering about the viability of turning Star Trek into a musical?? We can’t help with any of those questions but if you’ve ever wondered about what kind of super hero the host of Ron’s Trains and Things would be you’ve come to the right place. This is a great podcast with tons of information about a variety of subjects. First we talk with Bob Frascella who’s managed to secure an interview with Mike Confalone and then Bob brings us up to date on all goings on with his S-scale Delaware & Hudson layout and his latest art projects. Then Kaylee Zheng fills us in on the RPM East meet a trip to Tom Jacobs, Crossline layout and an operating session at Chris Adams the AML’s official fit guy. Boston Joe was also at Chris’s place and helps describe the action on the Valley Local a branch line of the New Haven Railroad. So grab yourself a bowl of shredded paint brushes, a big glass of watered down artists pastels and enjoy !!! ​The HO scale Piney Fork Branch re-creates a New York Central branch line in eastern Ohio during the 1960s. This is a multilevel layout featuring an extensive steel-mill scene. Still aren’t pleased with the tan you got from your last vacation, you’re convinced the travel agent sent you for seven fun filled days in Texarkana, Texas because he got a kickback from the Coors beer company. Well stay tuned to find out if Super Dave is okay, if you qualify for a medal and what’s the difference between a firth, a delta and a mouth. Jump in your favorite lawn chair, get yourself a big bowl of shredded aluminum beer cans, a tall frosty mug of stale beer and enjoy !! ​​You need a vacation but you’re bank account looks like a breeding ground for zeros. You tried to find some part time jobs but nothing seemed to fit with your busy schedule of twice a day hot yoga classes. Desperate for some sun time on a beach in the Caribbean you opened a business cleaning the wheels of S-scale 34’ composite side hoppers but soon found out the competition was offering Kadee spring replacement for free derailing your holiday dreams. Well fear not, we may not be able to send you away to some beautiful resort on a private island but after listening to the latest version of ViewerPosts Vacation Cruise jamming your hand in the car door will seem like a dream come true. So grab yourself a bowl of deep fried beach sand, a tall glass of polluted pond water and enjoy !! He loves to weather rolling stock and if he’s not on stage or getting familiar with the ladies you’ll find him working on his latest project. So grab a tambourine, a harmonica or your favorite cigar box bass guitar and ready get to jam with Joey. Well that’s it for another year at the big train show in West Springfield, Massachusetts, just down the road from the Basketball Hall of Fame. Lots of interviews were done, a bunch of new friendships have been made. Great to see so many people that enjoy the podcast and it was fun hanging out with Jim Sacco again at his City Classics booth also known as the AML Studios on location. We talked to so many interesting people this year, I just can’t believe the hobby isn’t going to continue to flourish for years and decades and centuries to come. This is a great hobby with great people who have a desire to share a passion and past time that brings joy to so many around the world. So get yourself a big bowl of shredded 50/50 tickets, a steaming hot mug of boiler water and enjoy !! It's been awhile since we’ve heard from the “Young Gun” so this seemed like as good a time as any to check in. Of course as always it wasn’t hard to fill up a couple of hours talking about all sorts of things but we managed to keep it to forty-five minutes. ​Well they did it, they done went and got dirty. Mike “the Spoon” Ostertag and Andy “StraightBall” Dorsch have entered a weathering contest on the YouTube channel of Ron’s Trains and Things. So it’s up to the AML nation to support and vote for your favorite cast member in this historic showdown. You accidentally emailed inappropriate photos to your boss and decided the best defense was to email the same thing to everyone you know and call it a virus. Your parents left for the weekend and you emailed them the invitation to your keg party by mistake. Martyn Jenkins won’t answer your emails because he’s to busy complaining about the heat in Australia. Ted the Wonder Dog ate your coat before you could get your fleet of N-Scale BNSF GG 1’s out of the secret pocket. Think about signing up for AML’s twelve step email program and before you know it you’ll be emailing like a pro. In the meantime grab yourself a big bowl of shredded ethernet cable, a tall glass of monitor cleaning fluid and enjoy !! ​This podcast is about a retired fire-fighter from Miami living the quiet life in Georgia, Tom’s passion for model and prototype trains has been there most of his life, from the first Lionel set to his current layout, the Georgia Northeastern, model railroading has been a constant. We also talk with Eric Vandiver who discovered model railroading through the wonder of social media, Chris Adams with his New Haven modeling and finally Blaine Hadfield of Arrowhead Models in Sheridan, Wyoming. It’s a great series of interviews that we at the ole’ AML Network in Busted Knuckle, Kentucky are sure you’ll enjoy. ​Rob Arsenault takes his chances with the Kelly Questions, we take a trip out to New Jersey to find out what’s on the workbench of Ron Klaiss of Mine Mount Models and finally we check in with Joe D’Amato of Micro Trains as he tells us some excellent techniques for applying decals. So pull up a chair, grab yourself a tall glass of Solvaset, a big bowl of shredded damp backing paper and enjoy !!! ​Chris Atkins, a regular AML contributor and resident of Argyle, Texas (home of the Fighting Socks) came up with what we think is a great idear, he started a group page on Facebook called Fans of a ModelersLife Podcast. As of this broadcast we’ve got over 150 members and growing fast, discussing and posting on all sorts of topics. It seemed like a fun idea to peruse the page with some of the AML regulars and it made for some entertaining, interesting discussion. We here at the ole’ AML world headquarters in Busted Knuckle, Kentucky look forward to many more podcasts about whatever is posted on the page. So grab yourself a big bowl of shredded Facebook comments, a tall glass of computer screen cleaner and enjoy !! A lifelong model railroader, he’s a member of the National Model Railroad Association Northeast Region, and a co-founder of the RIT Model Railroad Club. We here at the ole’ AML world headquarters think Otto is a great choice for the position and look forward to what he’ll bring to this already great magazine. Congratulations Otto !! Gordy Robinson is young, enthusiastic and ready to make the NMRA the best he can be… Find out why right here. Stop the presses, hold the phone, put down your coffee and get ready to take notes, it’s time for some on the spot interviews from West Springfield, Massachusetts just down the road from the basketball Hall of Fame. 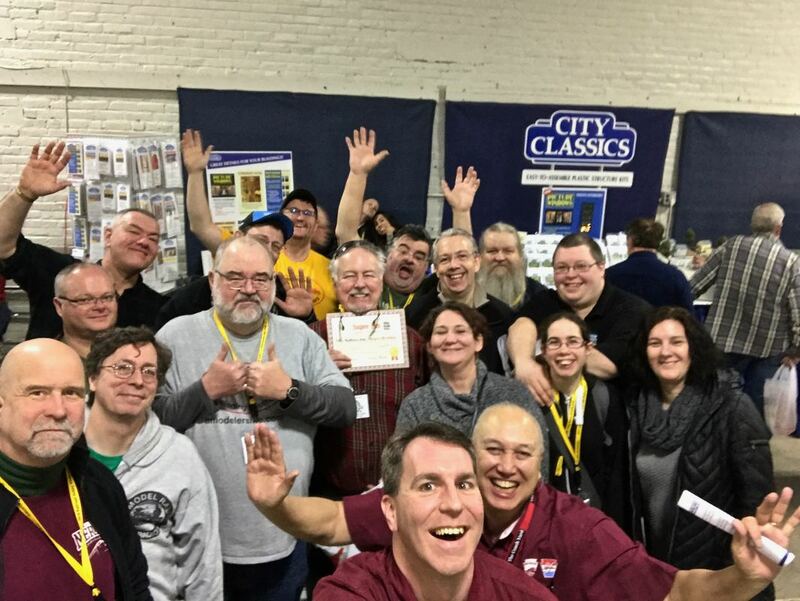 This really big show features some of the many fans that stopped by the AML booth (formerly City Classics) at this years Amherst Railway Society Railroad Hobby Show. It was great to see so many fans of the podcast and even more fun to talk to them so get yourself a steaming hot bowl of Cyanoacrylate, a tall glass of Insta-set and enjoy!! ​Once again it’s time to check in with our intrepid reporter as he spans the globe with his trusty sidekick Gert, “Speed,” “Jim” Muller looking for new and exciting layouts to operate. Chris needs little or no sleep as he knocks on doors, looks in garages or under your porch to find that elusive pike to sort car cards on. So jump on this whirlwind train if dare, order yourself a steaming hot plate of shredded waybills, a side salad of train orders, a tall glass of operators ink and enjoy !!! This is a free podcast click here !! ​​This is a free podcast click here !! ​​Scott Thorton is on the road again spreading joy throughout the model railroading world with the new ProtoThrottle from Iowa Scaled Engineering. We managed to take Michael Petersen the builder of throttle away from the booth for a few moments for a quick insight. Enjoy!!! ​This is a free podcast click here !! ​Hold on to your hat boys and girls Spoon’s been thinking again. There’s never a dull moment when our very own Mike “the Spoon” Ostertag starts the wheels of progress moving in the old grey matter. This time he was looking to save money by using craft paints and after some lengthy discussions we realized it was a podcast worth listening to. So get yourself a big hot steaming bowl of lacquer thinner, a tall glass of Floquil’s Grimy Black and enjoy !!! Bob Frascella and Joe Desmond decided to try their luck with one the most feared and treacherous series of questions known to mankind. Hermetically sealed in a mayonnaise jar which was left under the town of Alburtus on Tom Jacob’s layout in his 53’ X 86’ barn which is home to his 14 level multi-deck broccoli pike representing the Redding railroad. The answers will tug on your emotional heartstrings. You’ll laugh, you’ll cry, you’ll even wonder why as these two brave souls take the plunge in an attempt to achieve the best score of all time against the carefully crafted and always entertaining Kelly questions. In other words sit back with a tall glass of celery juice, a big bowl of shredded layout plans and enjoy !! Tired of watching ear wax removal videos, can’t seem to get your fanny packed?? Your pet moose got off it’s leash and wandered into the neighbors garden? You’re convinced Waldo is your long lost brother that’s been searching for you since 1973. Well we can’t help you with any of those problems but we can help you go to sleep while listening to the latest edition of ViewerPosts. So get yourself a big bowl of shredded plastic rail joiners, a tall glass of standing puddle water and enjoy!! Which side of the tracks are you modeling?? This was a question our very own Mike “the Spoon” Ostertag posed while recovering from a sugar coma. After some lengthy meetings at the world headquarters of the AML Network in Busted Knuckle, Kentucky it was decided this might actually make for a good podcast. We know what you’re thinking… How long would take to solve a Rubik’s Cube while submerged in 1,000 gallon tank of maple syrup?? We can’t help with that but we did have a great discussion about which side of the tracks you’re modeling and how much selective compression is to much. So grab yourself a tall glass of pre-mixed modeling plaster, a big bowl of shredded feeder wires and enjoy!! Like all great love stories this one has a beautiful ending, we first learned about Joe Desmond and his great Conrail N-Scale layout from our very own Peter Borcherds during a break from his duties as an agent for MI-6. 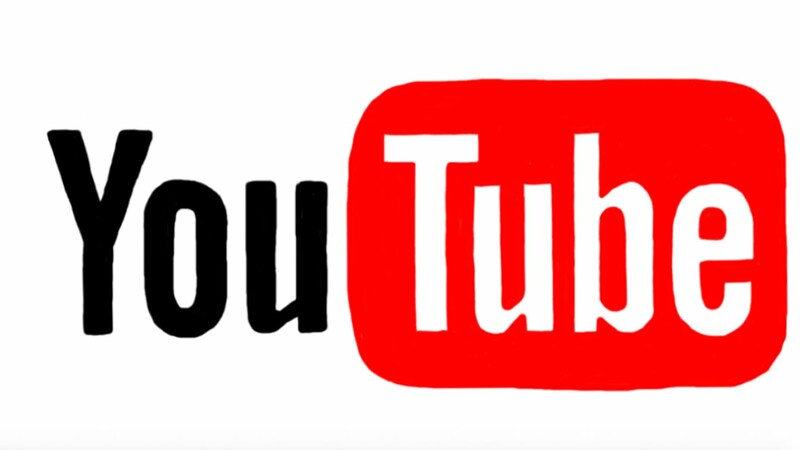 Like so many in today’s world they’ve created a friendship through the magic of social media, a love for model railroading and a keen desire to share their work via YouTube. It seemed only natural to have them on the podcast together, it’s all N-Scale all the time. So grab yourself a big bowl of shredded Micro-Train freight cars, a warm mug of melted soldering paste and enjoy !!! So get yourself a big bowl of shredded party favors, a warm mug of leftover eggnog and enjoy. ​Until recently the phrase, “you’re cutting out,” was most used around the studio when Mike “the Spoon” Ostertag came into the studio. He’s spent hours and hours trying to fix it and finally the silky smooth sounds of AML’s favorite locomotive engineer are available for all our listeners to enjoy. This is a popular gathering of modelers from all over the world looking to improve their skills and make new friends. This event is focused on professional, innovative and creative ideas making for an unforgettable experience. Fortunately for us Kaylee Zheng made her first visit to the Expo this year and is here to tell us all about it with her friend Lou Papineau. When they’re not making smoke at Tom’s Trains there usually checking out different layouts or trying to figure out how get home to Connecticut by heading north out of Albany, New York. From deep in the heart of south, the “Big Easy” comes the true life story of out next victim … Errr… I mean, challenger. We first met Greg last year in Springfield at the big Amherst show, he’s an active member of the Crescent City Model Railroad Club and a great cook which isn’t a bad thing when you live in New Orleans. ​This is a free podcast !! You've decided to decorate your yard this Christmas with a giant inflatable bottle of ranch dressing and convinced that with just a few simple adjustments you could turn any banana into a phone. Your design for a kayak shaped like a log from a from a frozen Maple tree was turned down by Wal-Mart?? Sounds like you could do with a vacation and what better way to spend the holiday season than a nice relaxing voyage with your favorite deck hands and crew from the AML Cruise Lines. So find yourself a deck chair, grab yourself a tall glass of tree water, a bowl of shredded tinsel and enjoy !!! Syracuse, New York is the economic and educational hub of central New York state, it’s also the home of our next guest who’s enthusiastically promoted the hobby of model railroading most of his adult life. Most recently using a small switching layout to introduce people of all ages to the hobby and actively recruit them for Central New York division of the NMRA. So you're convinced the X2F HO scale coupler was actually developed in exploratory labs located deep inside Sector 12 as an attempt to help the Guardians of the Universe protect future colonies. The bacon quilt you made for your turkey at Thanksgiving is still stuck to the top of the roasting pan because you forgot to take it out of the package. You couldn’t make the 7-10 split to win the big frozen turkey bowling tournament, your wishbone turned out to be made of brass track from your weird friend Mike that models in S-scale. We probably can’t help you with any of these problems but here at the world headquarters of the AML Network in Busted Knuckle, Kentucky the turkey trot’s are beginning to settled down enough to once again answer are voluminous ViewerMail. So grab yourself a hot steaming cup of leftover turkey grease, a big bowl of shredded pie tins and enjoy !! ​Chris Adams and Kaylee Zheng review all the comings and goings at the North East Railroad Prototype Modelers meet in Enfield, Connecticut. There were lots of awesome presentations and free flowing exchange of good ideas. ​​This is a free podcast !! Still concerned about which color of black is best suited for your favorite Milwaukee Road Geep-9 locomotive, can’t decide how to weather the underside of the Northern Pacific’s 40’ double sheathed boxcar. Still convinced brown lettuce and tater tots is a good source of dietary fiber. We’re not able to help with any that so instead it’s time once again to discover what makes are guests tick with a series of hard hitting questions compiled by our crack staff in the basement of the local Moose Lodge. So get yourself a tall glass of luke warm weathering grime, a big bowl shredded fur and enjoy !!! It’s time for a another relaxing vacation as we take you through the beautiful islands, crystal clear waters and muddy thoughts only our most unique listeners could provide. Life aboard the AML cruise ship it’s like nothing you could ever imagine so get comfortable in your special deck chair with a tall cool glass of fish oil, a big bowl of super sticky catfish bait and enjoy!! With customers all over the world in countries such as, Poland, Great Britain, Germany, Switzerland and Australia he’s setting the modeling world on its ear. This is an interesting update with an interesting personality who’s love for the hobby knows no bounds whether he’s railfanning or completing another weathering job on a priceless model. Enjoy. We've checked all the boxes, walked all the aisles, looked in every booth and found some of the most interesting and charming people at the National Train Show in Kansas City. Hundreds of thousands of square feet with thousands of model railroaders under one roof makes for a great podcast and hopefully after listening to this you’ll be able to find one. It’s great fun talking to so many exhibitors and people in the hobby, hopefully you’ll enjoy listening to them as much as I enjoyed talking to them. So get yourself a tall glass of warm recycled fountain water, a big bowl of shredded hot dog wrappers and enjoy. You just tried it on your new cow costume for the big Halloween party but you’re utterly disappointed by the way it fits. Your idea of carving your pumpkin into the shape of an S-scale SD 40-2 using an HO scale knife got derailed and I thought of spending another Halloween by yourself leaves you feeling disenchanted. Well we can’t help you figure out how to make yourself the most popular kid on the block but if you’re looking for a podcast with information about modular hose, positive train control, LED light panels, affordable equipment, Northern Pacific Historical Society, or how to take that perfect photo for the next division meet. We may be able to help you, so grab yourself a bowl of pumpkin seeds, a big mug of hot candle wax and enjoy !! ​Talk, talk, talk that’s what we do here at the old AML studios and that’s what we did in Kansas City. Everything from throttles to railfanning is covered in this show, there’s more people in the room than you can jam into an empty subway car on New York City’s busy “L” train. There so many vendors and so many people at the NMRA National Train Show it’s hard to decide which way to turn next but that’s never stopped us before as we seek out the most interesting and dedicated model railroaders from around the world. So pull up a chair with a tall glass of flat soda, an overpriced snack and enjoy !! ​Looking for a new book to read, Northern Pacific refrigerator cars are on your wish list, Budd cars and trivia questions keep you awake at night?? It’s all right here during the fastest five minutes in model railroading with Model Railroad News editor Tony Cook. This is a free podcast !! It’s time once again for on the road interviews, this time our intrepid reporter has found himself NMRA’s national convention in Kansas City, Missouri. Equipped with his trusty digital recorder it’s time to eat the mic as he walks the floor of the convention center looking for his next victim… Errr… I mean guest. Whether you’re Morgan Pavia a border patrol agent for the United States government, a newest employee and ScaleTrains.com or Blaine Hadfield this just started his brand-new freight car company in can’t escape exposing your deepest darkest secrets right here on the AML Network. So sit back with a tall cool glass flat soda, a two day old roller dog and enjoy!! ​I know what you’re thinking, what would it be like to model the Conrail Railroad in Central New Jersey in the year 1988?? Well you’re in luck, thanks to a thorough investigation by our crack staff (Peter Borcherds) we’ve discovered Conrail is alive and well in N scale. Joe has done a marvelous job of modeling and documenting his journey building a quality model railroad intended for operations. With over 3000 YouTube subscribers, the scenery started and major construction complete it makes for a great interview. Can’t decide whether to build an HO-Scale five level mushroom layout or an N-Scale hollow core door layout, convinced you’re the perfect candidate to head up AML’s new Foley department. Waiting for the ModelersLife Ice Show featuring the Joe Cummings skaters. Not sure if your favourite podcast is sucking rather than blowing. Enjoy the show and remember… It’s a dog eat dog world out there and you’re wearing Milkbone underwear. Scott Thornton had an idea and the boys at Iowa Scaled Engineering decided to make his dreams a reality. This is a behind the scenes look at how it all began with comments from some of the operators who were amongst the first to take this amazing product out for a spin. Spanning the globe to bring you the latest news in the world of model railroading, our Tony Cook has thousands of miles at his own expense to keep us all up to date. Accurail’s special Trainfest release, Broadway Limited’s newest N scale locomotive, Menard’s exclusive train sets from Bachman, Precision Design’s newest decals, upcoming train shows, it’s all here in one convenient package. Once again it’s time to answer our voluminous amounts of mail ViewerMail coming in from all corners of the earth. Still can’t decide which cat video on the internet is your favorite, disappointed that Facebook thinks your favorite memories are to boring so they show somebody’s else’s life on your page. Still can’t figure out why the host of your favorite YouTube talk show wears two pairs of glasses at the same time, you lose sleep at night trying to figure out if Mike Budde will ever be DCC ready. We answer those questions and more as “Boston” Joe Cummings and Tom “the Mushroom” Jacobs ripped open the viewer mail hoping for a prize made especially for them. So get yourself a big bowl of traded eyeglass frames, a steaming hot mug of barbecued ribs grease and enjoy!! Just when you thought nothing made sense it’s time for the boys of the AML Network to confuse you even more. Stay tuned as we dive right into the middle of a bidding war, learn all sorts of info about Geep locos and talk sound and speakers. Then Bruce Kelly (the original SuperFan) and “Boston” Joe Cummings test out some new recording software and bring us up to speed about all the goings on at the NMRA National Convention in Kansas City. So get yourself a big bowl of shredded auction cards, a tall glass of liquid hotel waste and enjoy. You were pulled over for speeding while walking your dog, you still can’t figure out why Iowa Scaled Engineering is in Colorado? You call Pizza Hut to get the number for Dominos?? Your cardboard car doesn’t handle very well in the rain?? You’re afraid to save too many files on your laptop because it will become too heavy to carry. Well once again we here at the ole’ AML Network are proud to admit we can’t help you with any of these problems but we’re confident that if you listen to the latest version of ViewerPosts you’ll realize we are in capable of assisting you with anything. So sit back with a big bowl of shredded poker chips, a tall glass of used crankcase oil and enjoy !! WeatherMyTrains.com is a website I hadn’t even heard of until just shortly before it was suggested to me that the owner would make an excellent interview for the podcast. With a worldwide customer base that's steadily growing, Rob is a fine artist with more than 40 years experience producing aviation art, rail art and more recently quality weathering on model railroad locomotives and cars. Have you ever wondered what the rotation speed of a Boeing 737 is or why you’d fly on Southwest Airlines when traveling to the north east?? Maybe you just need to understand the overabundance of shoulder less roads in the Boston, Massachusetts area. Our favorite locomotive engineer Mike “the Spoon” Ostertag takes us on a whirlwind tour of railroading in the Boston area, searching for fellow S-scalers, traveling on quiet cars, electric locomotives and Tom Jacob’s very own “Crossline” railroad. It’s all here in one convenient package, so sit back and relax as we take you on the trip of a lifetime. We can’t help with any of that but we can help you become comatose as you listen to Jerry Britton try his hand at answering the Kelly questions. Enjoy. ​​Spanning the globe to keep you informed of the latest developments in model railroading. Tony Cook editor of model railroad news once again has tirelessly searched out all the new products that you need to know about. Each product has been carefully tested and selected in our secret labs on the outskirts of Busted Knuckle, Kentucky. We can’t tell you the exact location but local transit makes regular stops just tell the driver you’re looking for the AML underground lab. So you can’t be bothered watching the annual Tony awards from the Great White Way in New York, New York, the town so nice they named it twice. Don’t worry we have something that isn’t even comparable and a lot less important. We’ll be asking all those hard-hitting questions you wanted to ask your favorite magazine editor. Plus we finish up with the last interviews from the second annual AML picnic. Just when you thought you couldn’t stuff and one more hotdog in your mouth, we’ve brought out the brownies. ​So sit back with a big bowl of old shredded trophies, a tall glass of cold hot dog water and enjoy. Everything you need for that drive to and from work is right here in one convenient package. Want to talk about resin car kits?? No problem, we have that covered. Want to know what happened at the second annual AML picnic?? No problem, we’ve got that covered too. You’ve been wondering what would be like if Blair Kooistra tried his hand at the “Kelly Questions? ?” Well then, you’ve come to the right place. This may be the only podcast you’ll ever need for the rest of your life, it’s chock full of all sorts of interesting people, information and life-changing opinions. So sit back with a steaming hot mug of freight car resin, a big bowl of shredded film canisters and enjoy !! ​Almost fell off your chair when you discovered the shape of a Pringles potato chip is actually a hyperbolic paraboloid instead of being fashioned after Roy Rogers favorite saddle. You’ve decided the best way to get rich is to open a McDonald’s on the one continent they have yet to conquer. So you’ve been forced to take a grueling holiday in the south of France, you wear your sunglasses indoors just to be cool, you’re walking around with a photo of your head on a stick or you’ve decided the best way to get home is via Frankfurt, Germany?? If any of the above applies to you it’s time to take a break from your demanding life. Whether you’re on the road in Alaska, still convinced the shortest way to Australia from Kansas City is through Las Vegas or searching for another BOD meeting to sit through, we’ll make it all seem like Shangri-La in less than two short hours. As well as an in depth interview with the man himself, I was able to sit down and interview all your favorites from the show and really discover what makes it tick. Joshua Barton fed us some great barbecue from his Sugar Fire restaurant. This episode of “a ModelersLife” is really smoking. Enjoy. RPM meets are becoming more and more popular and the Mid-Atlantic RPM is no different. Started just a few short years ago in 2013 this gathering of modelers on the East Coast, everyone from beginners to advanced modelers interested in accurately recreating their favorite prototype will find plenty of interesting things to do. Factories are closing, retailers are being affected, the future doesn’t look very bright for some companies. We’d like to tell you we have all the answers but we do have points of view and an interesting history have how China became the hub model railroad manufacturing. It’s interesting hour discussing some history of the hobby in the eighties and nineties and how we got to where we are today. Tony Cook the editor of Model Railroad News Is absolutely an encyclopedia of information every model railroader or should. ​Spanning the globe to bring you the latest in model railroad news is your favorite magazine editor Tony Cook. Ever wondered which railroad purchased the most GP-9’s, are you curious to find out the latest offering from Walthers or if there’s a train show coming to a town near you?? All this and more is right here on the latest addition of product news. So get yourself a big glass of grease remover, a big bowl of shredded battery cables and enjoy!! Each year the NMRA hosts a national convention where members can meet up and renew old friendships. There’s always tons of helpful clinics, layout tours, and prototype tours to keep everybody busy, plus at the end of the week there’s a three day train show. So here is your favorite play-by-play analysts to discuss the upcoming events. Listen to your AML favorites get ready for the time of their lives as they travel from far and wide just to see what’s going on. Enjoy!! ​The second annual AML barbecue is now history, trains were watched, burgers were eaten, watermelon was sliced and fun was had by all. It was an all-day event, with fans from all over, New Jersey, Florida, Missouri, Massachusetts, Wisconsin and beyond. Next up is the NMRA national convention and who better to chat with than our very own Peter Borcherds traveling all the way from England to join in the festivities. The family gets bigger and bigger, so pull up a chair and enjoy !! Here it is once again, it’s time to pack up your luggage ship the kids off to the grandparents, take your dog to the kennel and get ready for another romantic ViewerPost Vacation Cruise. There’s nothing like a beautifully romantic sunset cruise aboard a rusting railroad barge headed up river to the steel mill. So treat yourself and the little woman to something special and get yourself a seat near a leaking covered hopper full of corrosive acid for a trip you won’t soon forget. ​Ever wonder what the guys talk about when the record button hasn’t been activated?? Well now’s your chance to find out. Product News July20th, 2018 - ​Stop up the presses and check the ticker tape, it’s time once again for AML product news with your favorite world traveler and all-around good guy Tony Cook. ViewerMail Flight #65 - time once again for our voluminous ViewerMail. Still tired of licking email envelopes, you’re convinced that poor penmanship is a sign of higher intelligence, you ordered a bee farm from your local wholesaler and watched it buzz off as it got to the end of your cul-de-sac. Well cheer up my friend, another heaping pile (of mail) has just arrived from AML headquarters in Busted Knuckle, Kentucky. So get yourself a big steaming hot mug of used pasta water, a big bowl of shredded political protest signs and enjoy !! ​Have you ever wondered what it would be like to own a full size passenger car?? We found just the man to answer all your questions, Kevin Moore of Pittsburgh, Pennsylvania has been playing with full-size railroad cars for decades. ​What’s are those flashing lights, how many installs have you done, what are the blue red and yellow tracks? Do you have any more thoughts on the Proto Throttle, what about rail fanning with Peter Borcherds in Kansas City?? It’s only a few weeks until the NMRA convention in Kansas City and we’ve decided it was time to check in with Shane “the Young Gun” to find out if he’s ready. Are we going to have enough time to do all the things we want to do? Find this out and more has “the boys” get ready for the big dance. So get yourself a tall glass of water from the Missouri River, a big bowl of half eaten ribs and enjoy. You’ve been asking yourself, “so what’s new at Micro Trains?” Or better yet, what’s Smokin’ Joe been up to? One of the most interesting people we’ve ever talked on “ModelersLife” has come back for a visit. You won’t be disappointed as Joe covers just everything from Z-scale to a booming hobby with sales that are unprecedented. He talks about the advantage/disadvantage of preorders, the quality of the models available today and it’s all done with that endearing Smokin’ Joe delivery. So sit back with a nice tall bubbling glass of warm resin, a big bowl of rejected freight car wheels and enjoy. It’s time once again for another exciting round of the, “Kelly Questions.” Three innocent bystanders donned the tin foil helmet and allowed themselves to be strapped into the chair while doing their best to answer all of the questions in a fair and honest manner. More fun times from our man in Ripon, Wisconsin with a optimistic outlook on the NMRA. Lots of great insight and positive thoughts about what’s right with the organization. You can always count on Andy to show us a cheerful take on the world and this time is no different. Plenty of introductions come with this episode, so this is just the right tonic for that queasy stomach or sore throat when you need to take your mind off your troubles. We here at the old AML headquarters realize the previous sentence makes little sense but we ran out of things to say, so enjoy the podcast. Add your own smiley face here!! ​Your pet flamingo has escaped and is living happily ever after in Argyle, Texas using the fake name Daniel. Turns out going to the bank wearing a smiling emoji mask wasn’t as funny as you thought it would be. Your name is Andy and the old lumber you’re using to build your new layout is from the support beams in your grandma’s house. Well we can’t help you with any of these problems but we can guarantee that the next 90 minutes will be some of the most unproductive time you spend this month. So grab yourself a big cool glass of recycled watermelon juice, a big bowl of shredded onion skins and enjoy. Whether or not you’re tearing down a layout, building a new one, creating another video with all sorts of tips and techniques or just planning out the next great layout, there’s a good chance our man Andy has already beat you to the punch. For the next two weeks we’re going to catch up with Andy Dorsch before he embarks on the journey towards completion of his first large layout. Through the wonders of digital media we’ll be able to follow along as he prepares the room, builds the bench work and completes the main line on his version of Chicago and Northwestern’s Marsh line. ​This is epic, two hours of the finest podcasting ever to hit the digital airwaves. Never mind what the subject is, by the time you’re finished listening, the sound of a screeching cat in the middle of the night will sound like heaven sent relief. But if you do make it all the way to the end you’ll have heard about steam locomotives, turnouts, tractive effort and the Railroad Prototype Modelers. So get yourself a cool glass of boiler water, big bowl of coal dust and enjoy !!! I know what you’re thinking when are we going to get to hear from Otto Vondrak again? Well you’re in luck, we have three separate segments that we’ve pieced together into one spectacular Otto extravaganza!! So sit back with a tall cool glass of leftover beer, a boxer last week’s donuts and enjoy !! ​Well we made it, 100 episodes!! What a great journey this has been and it all started with the host of Model Rail Radio, Tom Barbalet so we decided who better to chat with almost four years later but the man himself. ​You’re upset because your cat “Fang” knows who’s going to win the World Cup but will only tell “Ted the Wonderdog” until you guarantee her a nonstop diet of fresh fish. You’ve taken a trip to Scotland to visit all the grocery stores but been arrested for walking with cows while under the influence. Well we can’t help you with these problems but we can certainly help you waste the next ninety minutes of your life with another exciting edition of ViewerMail. So sit back for the steaming hot bowl of haggis, a refreshing mug of Heather Ale and enjoy !! You’re convinced the best way to work on your year round tan is to be stranded on a deserted island with your favorite basketball Wilson. You just ordered a pizza because you’re hoping the delivery guy to kill a spider the size of a Buick. Still hoping Doritos will announce their newest flavor sausage and mayo ?? We can’t help with any of these problems but if you are prepared to patiently listen, we can help you waste the next ninety-two minutes and twenty-six seconds of your life. So sit back with a big bowl are Shredded potato chip bags, a nice cool glass of leftover puddle water and enjoy. AML Product News - June 8th. And as always, please remember… Only you can prevent forest fires. What is there to say about Kaylee Zheng that hasn’t been said already. I first heard about her from my friend “Ralphie Boy” Renzetti who couldn’t say enough positive things, so I decided if I got the chance at Amherst she would be an absolute must interview. The popular clinics discussing sound in scale model locomotives are some of the best out there and talking to her in person was just as much fun as I had hoped it would be. So sit back and relax with a big bowl of shredded ear protection, a steaming hot mug of lip balm and enjoy. Have you ever wondered what it would be like if your dad owned a hobby store?? Just imagine what a podcast would be like if you interviewed somebody who is currently a conductor on the California Zephyr, building a live steam railroad around his house, a fantastic N scale layout and a garden railroad all at the same time. It’s been quite a while since we talked to Marty so it’s time to check in and see what’s been happening. He removed the most recent version of his beautiful Central Vermont layout after he and his wife decided it was time to build a new basement. Whether it’s keeping his blog up-to-date, planning a new layout, trips to IKEA or just figuring out the shortest commute to his job in the nation’s capital, he’s always busy. And remember, November has always been Marty McGuirk month here at the old AML network. Enjoy !! Another in our continuing series of Springfield Train Show interviews, we stopped by for a quick chat with Nick Molo about his company and his excellent models. Moloco Trains is the creator of high quality HO scale freight car models. Since its beginning in 1996 and continuing today Nick Molo has produced a strong line of ready to run rolling stock. His extensive background in industrial design tool making has enabled him to generate some of the most sought after models today. As always it was fun to chat with somebody else in the in the industry, so please enjoy this conversation at your earliest possible convenience. Still hoping to get that shark hat for Father’s Day, wish your beer holding hat came with a mullet wig? Can’t wait to try out your new pizza towel, you’re convinced Tabasco flavored whiskey is your road fame and fortune. Where we can’t help you with any of that but it’s time to get excited at the end of the month as we bring you another exciting episode of Virtual Hobby Shop. But wait this one is different and the only way you can find out why, is to take a listen. So sit back what’s a giant bowl of flavored dust, a steaming hot mug of linseed oil and enjoy. AML Product News - May 25th. ​It’s time once again for the another episode of the wildly popular AML Product News. You’ve told all your friends, you’ve told all your neighbors, you’ve even told grandma this is the one show she doesn’t wanna miss. ​​What happens when a first timer comes to Springfield?? This is the heart warming story of a young man from Harper’s Ferry on his first visit to North America’s largest model railroad show. It’s overwhelming, there’s so much stuff, so many people. Rob managed to find us and give a great description of what it was like to attend the show for the first time. Enjoy!! ​The host of AML’s Product News, editor of Model Railroad News, editor of HO Collector and associate editor of Railroad Model Craftsman. He’s one of the hobby’s most significant journalists, spanning the globe to bring you the constant variety of model railroading. Still waiting for your invitation to the royal wedding, you’ve decided to name your favorite sneakers Yammy and Laurel. You’re convinced those unfinished kits are an indication of just how much you can’t accomplish when you put your mind to it. It’s time for another out of body experience listening to ViewerPosts brought to you by your favorite extraterrestrials. So sit back with the big bowl of discarded glitter and a steaming hot mug of rocket fuel and enjoy!! An avid O Scale railroader, electronics wiz, convention organizer and general all round great guy Terry Terrance has been busy on his layout since retirement from Sikorsky Helicopters. He typifies what this podcast is all about, model railroading and the people behind it.Now he’s busy helping to organize the National O Scale convention in Washington, DC. But he still found time to stop and chat with us at Springfield. Enjoy!!! Take your own private railcar to the NMRA convention with deluxe rail service on board Kevin Moore’s premier BERLIN sleeping car from Chicago to Kansas City this summer. We’ve added facts to our website describing in detail this once in a lifetime trip. Plus we find out why Amtrak has decided private railcars have become so burdensome, these fine recreations of the American rail scene are being forced out from the American scene, making it a difficult as possible for these car owners to operate. Still questioning whether or not that purchase of swampland was a good investment after all, why can’t we spell creativity anyway we want, if the fork was made of gold wouldn’t still be considered silverware. ​We can’t help you with any of these pressing questions but we can certainly assist with making that nagging headache worse. So sit back with a big bowl of chopped oily shop rags, a steaming hot cup of river algae and enjoy !! AML Product News - May 11th. Providence Northern Model Railroad Club just wouldn’t be the same without our next guest, a long time listener, Superfan and strong supporter of the podcast, Wayne Mollohan has been a model railroader for first long as he can remember. He stopped by long enough to have some cookies, update us on all the news around the great state of Rhode Island and reassure us the hobby is not dying. It’s a great interview to bring you up-to-date on all the comings and goings of your favorite AML dentist Dr. Wayne Mollohan. Still dreaming of that island in the sun, convinced that WD-40 is just as good as any sunscreen at the local drugstore. You’re just to busy to read all the ViewerPosts. Doing laundry, answering the door, sweeping out the garage, making a sandwich or trying to drink a gallon of milk before it goes bad. Just relax, enjoy the commute and before you know it, this podcast will make you as numb has a Hawaiian surfer on an iceberg. So sit back with a big bowl of shredded conch shells, a frosty mug of salty sea water and enjoy!! Springfield Interview: David Lehlbach -Since 2007 Tangent Scale Models has been creating some of the finest HO scale railroad freight car models available on the market today, covering all eras from 1917 to the present. David Lehlbach believes freight cars are just as important to any layout as the locomotives that move them. We had a great chat at sitting in the Tangent booth at the Amherst show in Springfield, Mass. There’s was plenty of activity around the booth in the short time we spent together and David had some very definite ideas about the future of model railroading. Once again it’s time to hang out with the boys down at the shop and find what’s happening in everyone’s life. This time with an international flavor as Gordy Robinson, Peter Borcherds and all of the regular characters get ready to chew the fact about anything and everything. Gordy entertains us with some of his and endless riddles and a vivid description of his trip to North America and quality time spent with our very own Chris Atkins. We learn about Tower 55, Twenty-Four hours of Saginaw and how Gordy attempted to qualify for the Texas NASCAR race, plus he takes time out to fire up a couple of Genset locomotives. All this and more so get yourself a big bowl of shredded tires, a steaming hot cup of ethanol fuel and enjoy. ​​Tape 2 Tape - 2018. ​It's time once again for AML’s Stanley Cup playoff breakdown, yes that’s right it’s the show you been waiting all season for, Tape 2 Tape. Get ready to arrive at the net with the puck in a bad mood. AML Product News - April 27th. Walters announces another locomotive, the always popular trivia question as well as some of the most important product announcements in the hobby. ​People from all over the world come to the Springfield Show, Gordy Robinson come from Scotland. He’s a member of the NMRA British Region and also on the worldwide NMRA media team. Gordy is one of the young gun’s in the hobby and living proof that it’s not dying yet. He’s seriously considering running for the NMRA Board of Directors and would be a great addition to the executive committee. Enjoy!! Need to get away because your pet alligator bit off your favorite arm, got your finger stuck in a bowling ball, your pet cat Muffin just isn’t eating or a swarm of bees surrounded your car and you can’t get out. Well we can’t help with any of these problems but we can help you waste 99 minutes of your life that will make these problems seem small. So get youself a big hot mug radiator fluid, a steaming hot plate of shredded hockey tape and enjoy !!! ​Some say it’s the most realistic throttle for operating model diesel locomotives ever produced… We say it’s not a proven product until it passes the Shane test. This time we clog up the aisles as we talk to NCE founder Jim Scorse a long time supporter of ModelersLife. NCE has been developing and manufacturing DCC Products since 1993, they’ve also supplied other DCC and locomotive manufacturers. Jim tells that NCE recently doubled their manufacturing space but still keep labor costs low by utilizing modern automated robotic assembly for most products. They’ve come a long way since starting the company in Jim’s garage… Sound familiar?? Blair Kooistra month continues here on the ‘ole AML Network, a resident of Fort Worth, Texas, Blair has made outstanding contributions to the photographic interpretation of North America's railroading. He’s photographed railroads extensively since high school and his work has been widely published, with 15 articles in the Trains magazine index and he was recognized in its 50th anniversary issue (November 1990). Still can’t out down that bowl sour cream and bacon chips, you’ve had one to many cans of Spam for breakfast, you thought Hershey bars were a health food?? Well fear not we’ll have you looking slim and trim in no time with another episode of the Atkins Diet. Chris has been once again travelling the highways and byways of America searching out his latest model railroading adventure. So sit back with a big glass of musty flood water, a big bowl of shredded wet carpet and enjoy !!! I’ve met so many great people through this podcast and Greg is no different. Although originally from the area he’d come to Springfield from New Orleans where he lives now. From show apps, the bus ride to the show and everything else. Greg embodies what the typical Amherst show goer looks and sounds like and I know you’ll enjoy this interview. Blair returned decades later to the Pacific Northwest to complete the stories of the people who made the Milwaukee Road special. This is a great companion piece to a video that makes railroading more romantic than a Harlequin romance novel. ​Free Download from Libsyn Here. Ready for another cruise down the river of life?? Another opportunity to change course on your journey of hope?? A chance to find the true meaning of life?? Well we here at the ‘ole AML Network can’t help with anything worthwhile but we can make you wish that you’d fallen overboard. So grab a deck chair, put on your favorite sun hat and we’ll have begging for it to stop in no time. Enjoy!! You know him from years of Woodland Scenic’s demonstrations and clinics explaining scenery techniques as close to nature as you can get them. Now it’s time to hear the untold story of Miles Hale direct from the middle of the aisle way in the Better Living Center at the Springfield Train Show. ​We blocked of the path of busy show goers as we merrily chatted and chuckled. We even managed to talk model railroading. So grab yourself a big bowl of ground foam, a tall bubbly glass of matte medium and enjoy !! ​If it moves Blair will photograph it, he’s such an interesting guy we declared April, Blair Kooistra month at the ‘ole AML Network. He started out as a photojournalist had his first article in Trains magazine published before he was and now works as a dispatcher for the BNSF. It's time once again to grill some unsuspecting guests with the carefully crafted “Kelly Questions. This time Todd Arnett, Mike “the Spoon” Ostertag and Bob Fallowfield try their hand at these life changing insights. So take notes, don’t think to hard and enjoy !! !